Most are a block or two from the beach. 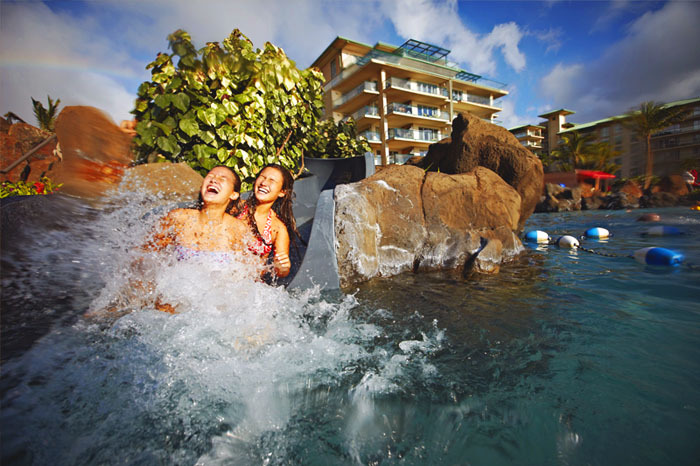 Choose from some of the best 3 star Honolulu hotels at Waikiki Beach resort district. There are lively street performers and many shops and cafes. 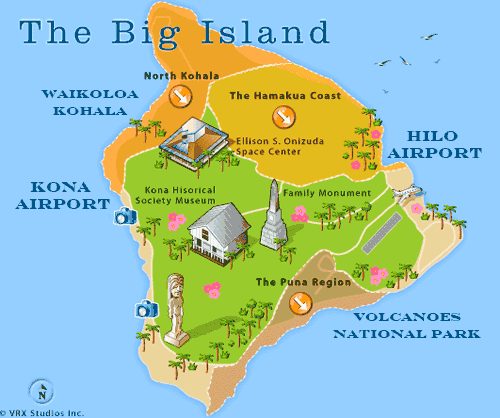 Close to Kapiolani Park and Honolulu zoo, the Aquarium and lots of shopping. Starbucks too. An easy walk to the beach, each of these hotels are one of my personal favorites. I can help you select the one that works best for you. The Sheraton Princess Kaiulani is a luxury budget hotel in the heart of Waikiki, across the street from Waikiki Beach and adjacent to the International Marketplace. The high ocean view rooms are the best value for a spectacular view of sunsets and the Pacific Ocean. My favorite Aqua hotel because I love the location. Contemporary boutique hotel located one block from the beach and across from the Hilton Hawaiian Village. Aqua SPA facilities and a fitness center are located poolside. 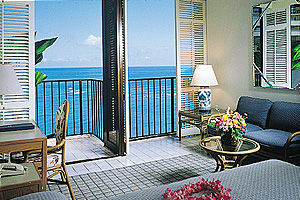 Hotel room City View, Diamondhead view; Deluxe Junior Suite; Luxury 1 Bedroom Suite with Kitchen. The Wave offers large rooms with 2 or 3 queen beds. One of the only moderate hotels that will accommodate up to 6 persons in one room. All guest rooms include mini-fridge, microwave, coffee maker, free WiFi internet access, central air-conditioning. Frontage on the Waikiki Yacht Harbor, the Hawaii Prince Hotel is unique in Honolulu. Your room is at the water’s edge with floor to ceiling windows. The nearest beach is about one block at the Hilton. Play as much golf as you want at the magnificent Hapuna Golf Course. It looks like this hotel is on the beach but it is located a block back from Waikiki Beach. The short walk makes it a great choice if you want an ocean or mountain view room for a good rate. Club exclusive rooms and suites are located on the 34th through 37th floors and offer special amenities. The Pacific Beach Hotel is one of the best values in Waikiki. I love the lobby at the Pacific Beach. There is a 300,000 gallon salt water aquarium in the lobby that is absolutely awesome. This magnificent moving art is the background for the fabulous buffet served for breakfast and dinner. The Waikiki Parc hotel is just steps away from the rolling surf of Waikiki Beach at the east entrance of the Halekulani Resort. Guests of the Waikiki Parc Hotel you will encounter luxury and culture, international cuisine, entertainment, recreation and exotic urban relaxation. Parc guests have signing privileges at the Halekulani restaurants, boutiques spa. The outdoor rooftop pool is the perfect spot to enjoy the skyline of Waikiki while catching some rays.